Welcome Back to Sugar Maple . . .
Sugar Maple may look like your postcard-perfect Vermont town but that’s where the similarity ends. Our librarian is a beautiful Norwegian troll. The funeral parlor is run by a family of vampires. The Sugar Maple Inn is owned by Fae while the werewolves keep our hardware store well-stocked. For centuries we have been home to house sprites, witches, selkies, spirits, shapeshifters, and elves. And who could forget Forbes, our lovable Mountain Giant? I’m Chloe Hobbs, the half-human/half-magick owner of Sticks & String, the most popular knit shop in New England, where your yarn never tangles, you always get gauge, and the knitter sitting next to you only comes out after dark. And did I mention that I’m almost thirty, single, and with no prospects in sight? My friends and neighbors have been casting spells to help me find Mr. Right but so far their efforts have been all wrong. Who'd have guessed I'd find my soulmate in Luke MacKenzie, a cop investigating Sugar Maple's very first murder? Bad news is he's 100% human which could spell disaster for a normal future with a paranormal woman like me--in love, in danger, and in way over my head. So here we are, two years and one baby daughter later, about to get married. They say nothing good comes from unions between mortals and magicks, but Luke and I are determined to prove them wrong. But a beautiful antique ring may hold the key to a promise that could tear us apart forever. 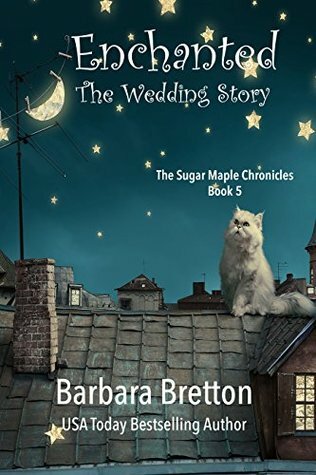 Review: I can't believe I've never read Barbara Bretton before Enchanted. 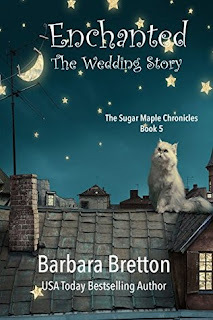 This is the 5th book in The Sugar Maple Chronicles. This book is definitely one that has a continuity thing going on, however, I didn't have any issues with the story, except for having a longing to read the other 4 books. 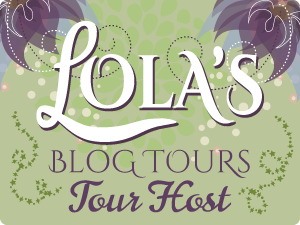 In this installment of the Sugar Maple Chronicles we approach Chloe and Luke's wedding and all the craziness leading up to it. If you haven't visited Sugar Maple before (like me) the town is a haven for paranormal types. Chloe, the owner of Sticks and String yard shop is part human and part magick. I absolutely adore her. She's cast a spell over the town so that non residents of the paranormal variety can't break on through. Chloe really has a lot on her plate, trying to keep her soon to be in laws from discovering the truth about the town. On top of it all her future mother in law has found a distant cousin of Chloe's and has invited her to the wedding. Wendy is a fabulous character, and she really feels like a great fit into Chloe's world, even though she's a mortal. All of this should make for a very happy time leading up to her wedding, but a box containing memories of her parents and a strange ring start a strange string of events that started just before her parents died and an arrangement they made for her marriage. All these things come to a head in this book, as Gavan is sent to stop the wedding. 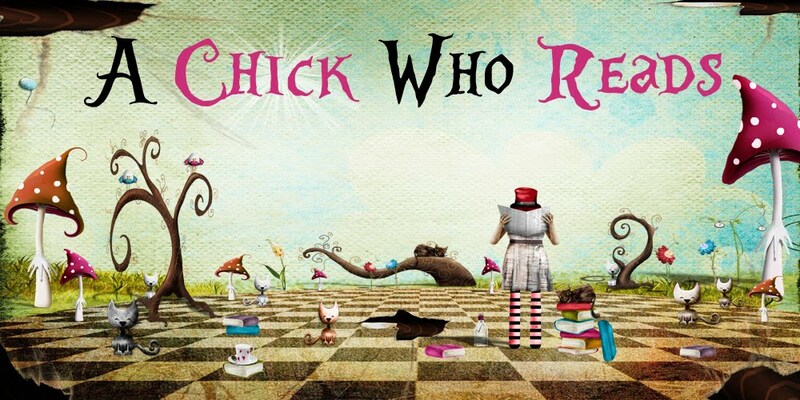 I loved the characters in this book and I loved how things weren't all that they seemed. Chloe's daughter stole the show in all the scenes that she was in, and there were some pretty good laugh out loud moments with her. Gaven is a perfect almost baddie, but by the end of the book, there's a certain mortal that you really hope he finds happiness with in a future book. I really loved this story, and I want to go back and read the series from the start now.